If you are looking for information on the The Senior's Choice franchise business opportunity, The Senior's Choice franchises or The Senior's Choice franchising, then you have come to the right place. Do you want to build a business that makes a difference in the lives of others? Do you want to be a respected and appreciated member of your community? Do you want to work in an industry with long-term growth potential? Do you want to own a business that will give you the opportunity for financial freedom? We are actively seeking motivated individuals who are ready to start a meaningful business that can provide them with financial independence by helping seniors live independently at home. Are you one of them? Then you've come to the right place. Here's how it works. For a one-time fee you'll purchase a proven operating system to help you start your business, which includes expert training and a comprehensive array of systems and tools for you to implement. And because The Senior's Choice is all about giving you Choices, membership is voluntary and renewable on a month-by-month basis, which puts you in charge of the relationship, not the other way around. Doesn't that make sense? We would never charge you any royalty fees - just a small and reasonable flat monthly fee. This way you get to keep all of your hard earned profits, instead of giving them away to us. All of our caregivers are Certified Companion Aides (CCA©). This gives us a competitive marketing edge and helps us attract and retain the very best caregivers. We promote a proprietary Fall Prevention Program that is endorsed by the National Safety Counsel that will get you into every door. We offer you a money back guarantee if you believe we did not deliver on all our promises to you and regret not joining one of our competitors. We are not a franchise and for good reasons which you will soon learn. Join us in one of the most emotionally rewarding businesses available today! 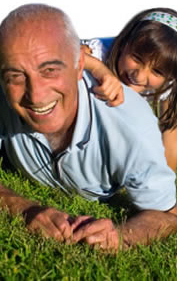 Be a part of one of the greatest growth industries in America by owning your own senior care company. We built our reputation on training, supporting and connecting our Members to clients and caregivers all around the country.